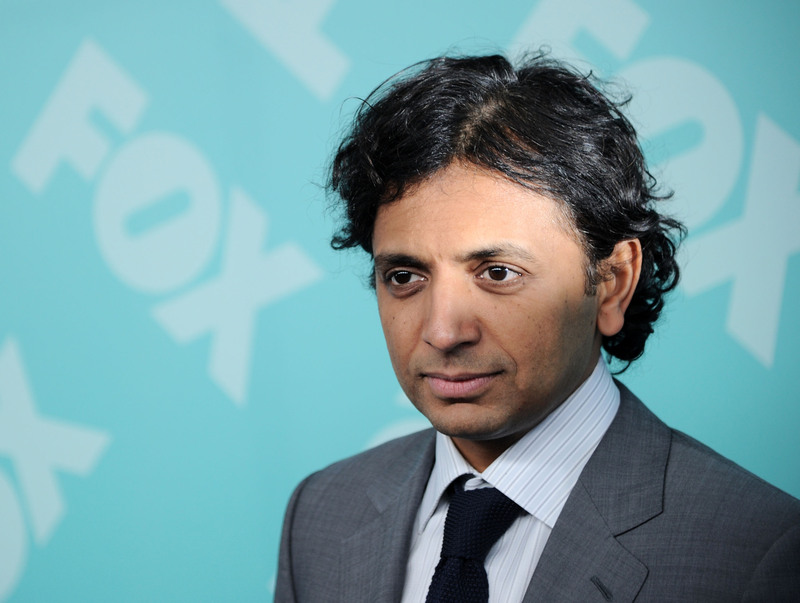 There are few names in Hollywood more popularly maligned than M. Night Shyamalan's. The once promising, Oscar-nominated director of The Sixth Sense quickly fell from grace thanks to flops like Lady In The Water, The Happening, The Last Airbender, and After Earth. But a strange thing happened in 2015: people started speaking his name again not with derision, but with cautious optimism. That's thanks in large part to the double-whammy of Wayward Pines and The Visit. Now Deadline has revealed that the Shyamalan is rebooting Tales From The Crypt for TNT — and we should all definitely give this show a chance. The reboot is part of a deal TNT has struck with the writer/director, which will see him crafting a two-hour block of horror programming every week. Tales From The Crypt will be one hour of that block; the other half is still unannounced. For those unfamiliar with the show, Tales From The Crypt is an anthology horror series based on a 1950s comic book, which ran for seven seasons on HBO from '89-'96. Like The Twilight Zone, it featured a scary story each week; unlike The Twilight Zone, the series was narrated not by Rod Serling, but by a puppet named The Crypt Keeper. Tales From The Crypt also featured a streak of dark humor that distinguished it from its predecessor, and — courtesy of being on HBO — was allowed to contain much more gore, profanity, and sexuality. So why is Shyamalan a good choice for this project? Well, television proved to be a great fit for him last year, when FOX's Wayward Pines became his biggest critical hit in ages — arguably ever. (Season 1 of Pines scored an 86 percent on RottenTomatoes, right above Sixth Sense at 85 percent.) And there's reason to believe an anthology series might be the perfect choice for someone like Shyamalan, a man who made a name for himself off of his notorious twist endings. This affinity for complex plot machinations over incisive character studies is actually a perfect match for an anthology. Shyamalan won't have to worry about sustaining a narrative or character arcs over the course of several hours — or even several seasons — instead allowing him to focus on the surprising his audience with the plot of each individual installment. Ryan Murphy, whose two previous shows, Nip/Tuck and Glee, had devolved into critical punching bags by the end of their runs, found similar success in the anthology format, which allowed him to focus on an exciting new idea every year. Sure, some seasons have been more acclaimed than others, but the combination has proved a winning formula — at least when it comes to the ratings. I expect Shyamalan to receive a similar creative boost from the constantly-evolving nature of an anthology. Another reason that Shyamalan and The Crypt Keeper may be a match made in heaven is the humor. The director's 2015 film The Visit proved to be as much — if not more — of a comedy than a horror movie, much to the surprise and delight of audiences everywhere. The film's unexpected sense of humor helped it earn Shyamalan's kindest reviews since 2002's Signs. If he can bring that same expert blend of black comedy and unnerving thrills to Tales From The Crypt, the show should be a huge success. Of course, there are still plenty of reasons to be concerned for the pessimists out there. Despite Shyamalan's recent successes, he still has just as many flops in his filmography as he does hits. And, most concerning, his one prior experience with adapting previously established source material resulted in his biggest critical drubbing to date: The Last Airbender, based on the 2000s Nickelodeon animated series, which scraped a measly six percent on RottenTomatoes in 2010. But a fantasy cartoon and a horror anthology are two completely different beasts. And, unlike The Last Airbender, which Shyamalan scripted in addition to directing, he will merely be developing and executive producing Tales From The Crypt for TNT, like he did for FOX with Wayward Pines. It's likely he will step into the director's chair for an episode here or there — he may even write an occasional episode or two — but it's unlikely he'll pen the entire season in, say, the way that Nic Pizzolatto singlehandedly writes every episode of HBO's True Detective himself. Tales From The Crypt is set to debut on TNT this fall, along with whatever second project Shyamalan is currently cooking up. In the meantime, the writer/director is also busy shooting his next feature film, the James McAvoy-starring thriller Split , which is due to hit theaters on Jan. 20, 2017.